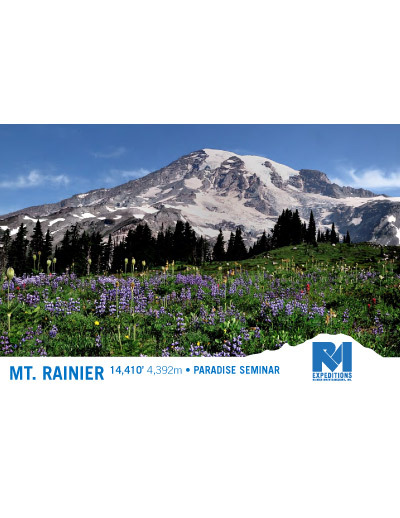 RMI's Expedition Skills Seminar - Paradise is an instructional mountaineering course ascending the Paradise Glacier to Camp Muir for a summit attempt via the Disappointment Cleaver route. A day of foundational skills training and 5 days of extensive practical training while ascending Mt. Rainier's Paradise Glacier and to the classic Disappointment Cleaver route. An expedition-style climb allows us to establish successive tented camps as we ascend the Paradise Glacier in preparation for our summit bid. The diverse terrain of the Paradise Glacier is ideal for learning mountaineering skills and techniques on a program suited for novice mountaineers. 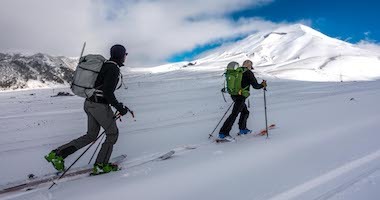 Our Expedition Skills Seminar on the Paradise Glacier places emphasis on developing foundational mountaineering skills while ascending a less travelled route to our high camp: Camp Muir. Establishing tented camps, we ascend the Paradise Glacier using the mountain's terrain to learn mountaineering skills such as snow & ice anchors, crevasse rescue, ice climbing, fixed line travel, belaying and other technical skills. Upon reaching our high camp, we will make our summit attempt on Mt. Rainier's classic Disappointment Cleaver route. RMI's Expedition Skills Seminar - Paradise is ideal for climbers interested in building their mountaineering skills while climbing the rarely traveled Paradise Glacier. The diverse terrain and relaxed itinerary provide excellent training opportunities. Our Expedition Skills Seminars are comprehensive training courses designed to educate climbers to the mountaineering skills needed to tackle the world's greatest peaks. Successful completion of the Expedition Skill Seminar - Paradise will make you eligible for many of our expeditions around the world, including Denali, and provides you with a foundation for other major glaciated mountains. Knowledge and ability of the guides - they were all fantastic! Trip was great. Knot tying and crevasse rescue were highlights of the seminar. The entire climb was great. I developed a true appreciation for mountaineering and now plan to do more expeditions- Cheers to out guides for instilling that passion for the outdoors with us, it was contagious. Loved the long time on the mountain and the mix of slow ascent to Camp Muir, then the long push of summit day. The best trip ever! Will recommend to all who want to experience the world of mountaineering. Great chemistry among climbers and guides. Small climbing group, so had lots of individual attention. Guides are knowledgable and attentive. I really enjoyed the pace and flexibility of the training - we covered exactly what we needed to learn and so much more. I came away from the seminar with so much more confidence in my glacial skills, I cant wait to apply everything to my big mountain trips in the future. This changes every time I think about it, but I met a lot of great people (guides included) and experienced a ton of adventure...I'll take that anytime. I enjoyed the crevasse rescue day the most, the ice climbing. And our guides, they really made the difference. The guides were the best part of the trip and made the whole expedition exponentially more enjoyable. I learned an incredible amount, and the guides & RMI staff did an excellent job with the atmosphere and camaraderie. The people were the best part. The guides were awesome. They were very experienced and very knowledgeable. Summiting. Learning crevasse rescue and ice climbing while camping on the isolated Paradise glacier for 3 days. Easy going attitudes of the guides, office and facilities staff. No one seamed stressed out :-). The free Wi-Fi at the RMI compound helped immensely. Thanks for providing this opportunity! I feel like the skills I learned in this program have opened up a number of possibilities for myself going forward! I look forward to going with you guys to Denali next year! I can't imagine a more complimentary team of guides. The system of instruction and guidance they provided was fantastic. They worked really well together. The trust, respect and confidence they demonstrated in each other certainly carried over to all of us. My favorite activity of the the seminar was the crevasse rescue day.It was great to have a place to store clothes/gear we weren't bringing on the seminar with us. Thank you for that! I learned much more than expected on this trip. The hands on instruction was very helpful and follow up feedback from the guides in practice reinforced the teachings. I enjoyed the entire seminar experience from learning, training and climbing; but enjoyed using those skills on the summit climb the most. Great guides. Very friendly. Would highly recommend to other people! Excellent guides. I can't say enough good things about them. The interactions with my fellow climbers affected me the most, and made the experience about more than simply getting up and down the mountain. The way that the guides encouraged this relationship building through a shared learning experience made this seminar really special for me, and has inspired me to keep climbing in whatever capacities I am able in the future. The way RMI really owned the mountain. There was an emergency on the snow field that the guides immediately stepped up. Leave No Trace was taken seriously. Our group really gelled and nobody wanted to leave!! The scenery. Since I had a chance to get a view of the Alps on a trip to Germany a couple of years ago, I had been dying for a chance to get up on some snow-capped mountains and see what it looks like to be up in the clouds. I've always had a fascination with alpine scenery, and you don't really get much of that in Virginia, so, yeah, definitely scenery, and also definitely the people. You go and say to someone in Virginia that you want to train to climb mountains, they look at you like you've lost your mind as they plan another trip to a local vineyard where undoubtedly, some Dave Matthews Band knockoff is playing acoustic sets. Being there in Washington, with people who share the same interests as you (guides included), it's a fantastic feeling, and I'm sure I'll be in contact with my guides and team members for a long time to come. The challenge coupled with the guides we met on the trip were by far the best part of the trip. The mountain itself was far more challenging than I think we had anticipated, and so reaching the summit was fantastic. The guides are the people that got us there, kept us safe and became our friend over the 6 days. In my opinion there is no other option. I enjoyed the training and found the learning experience to be very interesting. Bevelling the ground to set up camp, crevasse rescue training,tying knots, etc. Of course if was very nice to reach the summit as well. I listed the recommend RMI as low because honestly I dont think I have any friends that would want to do real mountaineering. Obviously, summit day was the best, but I appreciated the skills I learned. It's what I signed up for and RMI delivered on the knowledge. Zeb, Bryan and Pepper were first class guides. Extremely professional and attentive, yet making every minute of the trip so enjoyable. I would highly recommend this team to anyone! The experience was awesome! I am surprised and thrilled with the amount of learning that occurred during the six days spent with the RMI Team. From knot tying to avalanche awareness the days were filled with a wealth of information that I slowly absorbed from the guides. Each guide had different experiences to share, which made enriched the experience on the Mountain. The learning combined with a perfect amount of work made for a week well spent on a Rainier Skills Seminar. I feel more confident and prepared to spend many more days, and nights, in the mountains. I enjoyed the guides and the people on this trip. That made the trip what it was. The skills learned were very helpful for future climbing and being able to reach the summit was terrific, but without the great group of guys on this trip it would not have been the same. I gained experience with many of the skills required for mountaineering. My goal for this trip was not just to climb and summit Rainier but to learn skills that would take me further in mountaineering and to build my confidence on harder routes. While summit day and standing on top was truly one of the most intense and rewarding experiences of my life, the entire process was amazing. My three guides were patient, knowledgable, had great senses of humor, were tough with me when they needed to be and inspired confidence. I felt completely safe with them and they helped me overcome alot of my hesitancy and fear on steep terrain. After having some less than pleasant experiences with instruction here in Colorado, my days on the mountain with Leon, Robby, and Chase were fantastic. On summit day, my rope team leader Chase did a great job. I knew if I just listened to his instruction, I would be fine. We came down on some slippery, slushy snow which is my most feared terrain and following Chase, it was difficult but went great. Back here in Colorado, I've tested my new confidence on a couple of routes I would have found myself fumbling and sliding on in the past-I put my new lessons and advice to work and cruised down without a problem. I've been raving about RMI since I've returned and hope to continue my climbing adventures with you! Learned an incredible amount of skills in a short trip. The guides we awesome and I loved being on the mountain. Our guides were excellent. Gear check on day one was extremely helpful to ensure we were adequately prepared for the trip. All of the learning we did. I loved knowing more about techniques and details of how to mountaineer. Learning various climbing techniques. The whole trip was just great. Guides and the things they showed us gave me confidence that I can take the step to doing more technical climbs. I most enjoyed sharing this climbing experience with the other members of the team. Time spent in the mountains is stolen time and I couldn't have had a better group of guides to have shared that with. Thank you RMI. Guides were professional, knowledgeable, and enthusiastic. I enjoyed the ice climbing and anchor building techniques learned during our crevasse rescue portion. I enjoyed learning how to efficiently move through the mountains. Summit day was long and hard -- I really enjoyed being challenged and encouraged to accomplish something that was out of my comfort and experience zones. I enjoyed the interaction with the guides and the other people on the trip. I think we had a really nice group of people. Of course, I enjoyed getting to the top and back down too. That was the icing on the cake. I really liked the crevasse training and the ice climbing. Really, the whole trip was great. I don't have any complaints. Practicing the skills, such as crevasse rescue, ice climbing, cramponing, etc. And working with an exceptional group of guides and clients, who made every day a fun adventure, even when we were working hard. Experiencing mountaineering expedition life with Adam, Erik, and Leah. What a triple crown! The Paradise team. I know its by the luck of the draw, but what great people I was blessed with to share this great experience! Learning big mountain skills from professionals like Garrett, Steve and Andy. Those guys are impressive! 8:00 a.m. - 6:00 p.m.: Meet at 8:00 a.m. at Rainier BaseCamp in Ashford, WA. Please dress casually and bring your climbing equipment and clothing. We begin our Technical Training Day with a welcome and introduction of team members and guides. Throughout the day, the guides provide a focused introduction to a variety of topics. These include a detailed equipment discussion and gear check; an introduction to safety practices such as use of helmets, harnesses, and avalanche transceivers; route planning and preparation, instruction regarding Leave No Trace practices and environmental considerations; and a discussion/demonstration of knots, anchors and the first steps toward understanding crevasse rescue. These skills prepare us for our adventure on Mt. 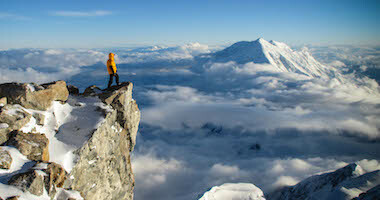 Rainier and increase the likelihood of a safe, successful ascent of the mountain. Please make your own arrangements for the day’s meals and a place to stay in the Ashford area for this evening. After an initial team meeting at 8:15 a.m. our shuttle departs for Paradise, and our climb begins. We hike from Paradise (5,400') to the base of the Paradise Glacier where we establish our first camp at approximately 7,400'. As we move up towards camp we work on the foundational skills that make us more efficient and capable climbers. These include pressure breathing and using the rest step, dressing appropriately for the weather and workload, kicking steps and climbing in balance when on snow, and efficient pacing that allows us to climb comfortably. Based out of our camp at 7,400', the Paradise Glacier is our classroom for the next two days. We learn and practice various mountaineering skills, beginning with ice axe use and cramponing techniques, and moving on to more advanced skills such as anchor placements, various self and team crevasse rescue techniques, steep technical ice climbing, belays, rappelling, knots, route finding and fixed rope travel. Evening lectures in camp include group discussions on mountain weather, medicine for mountaineering, altitude wellness, equipment and any requested topics that spark your interest. Today we ascend the Paradise Glacier to Camp Muir (10,060') in preparation for our summit bid. We arrive early in the afternoon and after establishing camp, pack and prepare for the big day ahead. On summit day we don ropes, crampons, helmets, and grab our ice axes. The route begins with a rising traverse across the Cowlitz Glacier and ascends the pumiced switchbacks of Cathedral Gap. From here, we gain the Ingraham Glacier and ascend either the Ingraham Glacier or Disappointment Cleaver routes; the actual route choice is determined by many factors and is left to the professional discretion of your guides. The steeper section of the Ingraham Headwall or Disappointment Cleaver is the physical crux of the route. After reaching the upper mountain, we ascend the higher slopes of Mt. 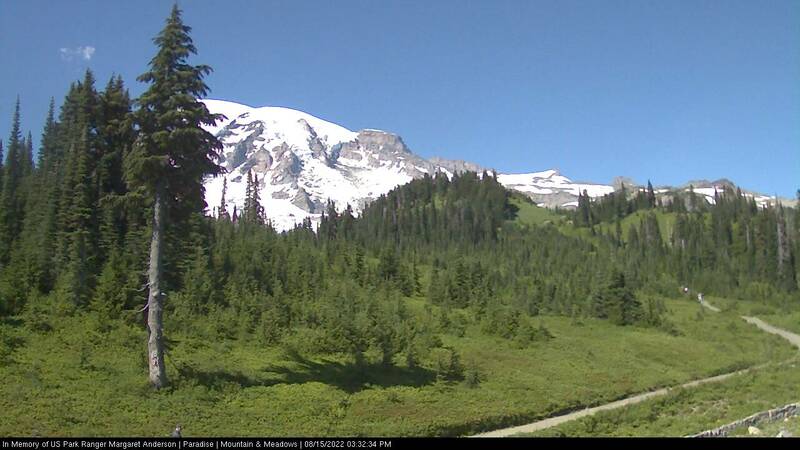 Rainier, navigating the crevassed glaciers to reach the summit. At 14,410', Mt. Rainier is the highest point in Washington. 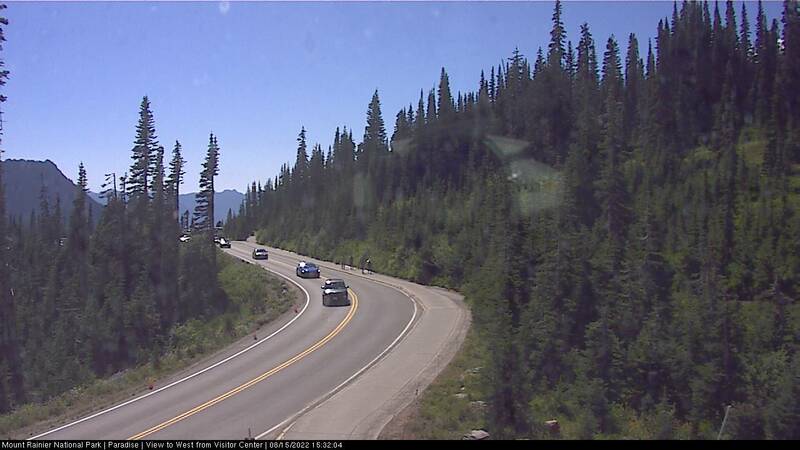 The summit is spectacular with panoramic views from the Pacific to the eastern side of the Cascades when the weather is clear. A large crater dominates the summit, with steam rising out of the cavernous summit vents and the bare ground near the summit is often warm to the touch. After reaching the summit, we descend back to Camp Muir. The descent typically requires half the amount of time of the ascent but requires significant effort as we retrace our route down the mountain. The duration of the climb depends on many variables including snow conditions, the time of the year, the route conditions, the weather, and temperature among others. 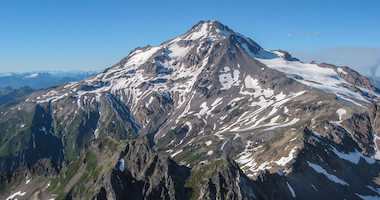 Once back at Camp Muir, we break camp, descend to Paradise, and return to Rainier BaseCamp in Ashford. After all the gear is unpacked, we gather as a team to celebrate our adventure. The duration of the climb depends on many variables including snow conditions, the time of year, the route conditions, the weather during our climb, the temperature, etc. Those variables often affect our arrival time to Ashford, which might vary dramatically from climb to climb. For this reason we do not recommend scheduling an airline flight before midnight on the last day of your program. Cancellation Insurance is included in the standard Trip Insurance policy if you are injured, or have a medical or family emergency prior to or while traveling. Should you need to cancel your program, Trip Insurance will refund you for any non-refundable cancellations fees when cancelling for a covered reason. Most travel insurance companies provide an option to include coverage that allows you to "Cancel for Any Reason", but the initial policy must be purchased within 15 days of placing your deposit for the program. 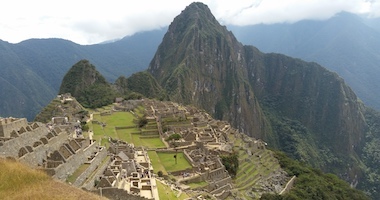 In order to cover your trip with RMI Expeditions you may need to include options such as an "Adventure or Sports" upgrade. 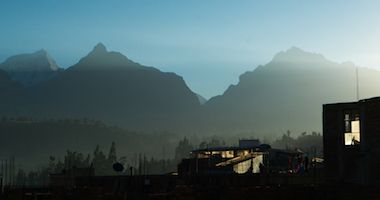 Not all travel insurance will cover mountaineering, climbing, skiing or trekking adventures. Some will not cover due to gear used (crampons, ice axe), others will not cover above a certain elevation and/or region of the world. Check your policy carefully to make sure your activity is covered. Purchasing Travel insurance is also dependent on your state of residence. If one company doesn't offer coverage for you because you live in Washington, another company might. TripAssure's Adventure Plan and Adventure Plus Plan differ only in the coverage option which allows you to Cancel for Any Reason. In order to receive "Cancel for Any Reason" coverage you must purchase the Adventure Plan Plus within 15 days of paying your deposit or payment with RMI. We recommend that you carefully read the Plan Document that applies to your purchase. 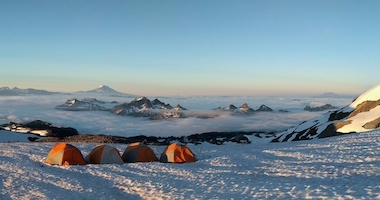 Rainier BaseCamp is located in Ashford, WA and is the home of RMI Expeditions, Whittaker Mountaineering, Basecamp Cottages, Whittaker's Bunkhouse, and Mt. Rainier Visitor Center. 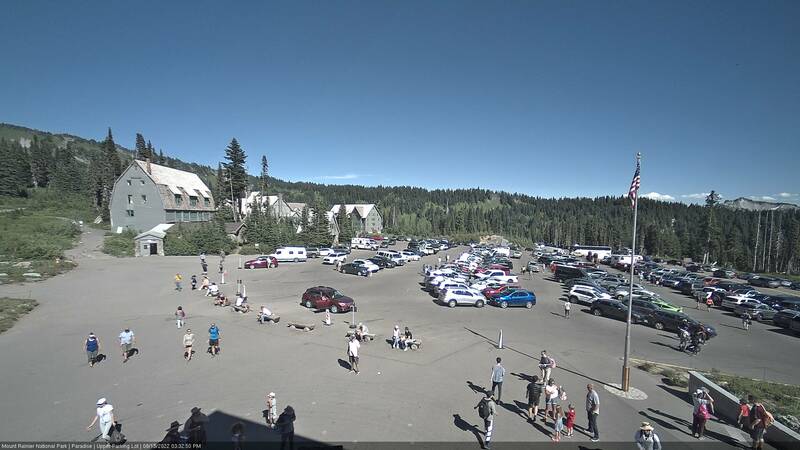 Ashford is located 75 miles from the Sea-Tac Airport and most climbers traveling to Ashford will want to rent a car. This is the most convenient and reliable way to get here. Our guides work hard to ensure your well being and success on the mountain. If you have a positive experience, gratuities are an excellent way to show your appreciation. Amounts are at your discretion and should be based on your level of enjoyment. Tips for excellent service normally average 10 - 15% of the cost of the program. If you would rather not bring the guide gratuity with you on the trip, you can send a check or call the RMI office to pay with a credit card upon your return. Excellent physical conditioning significantly increases your ability to acclimatize. Climbers in excellent physical condition simply have more energy to commit to the acclimatization process throughout the days and nights of the ascent, allowing their bodies to adjust to the altitude more easily. While the key to climbing high is proper acclimatization, this climb effectively moves up and down the mountain at a rate that exceeds our body’s ability to adjust (acclimate) to the high altitude. This is true whether a program spends 2 days or 5 days on the upper mountain (elevations above 10,000 feet). During our short climb, our bodies simply do not have the time to completely adjust to the altitude, and because of this short stay, our bodies do not typically succumb to altitude’s ill effects. In short, climbers generally experience the mild but uncomfortable, yet normal, symptoms of their bodies beginning the adjustment process. While climbers will feel better rested on the slightly longer programs, fitness remains the key factor in a climber’s performance. In addition, physical performance at altitude is often related to how well you have taken care of yourself throughout the hours, days and weeks prior to summit day. Arriving healthy and well-rested, maintaining proper hydration and caloric intake, and protecting against unnecessary heat loss (staying warm) are usually key factors in an individual’s success on a short-term visit to altitude. A bag rated 15° to 20° F will keep you warm. Either goose down or synthetic. For hot days in mid-summer, we recommend a lightweight, synthetic shirt, either long or short sleeves. Long sleeves and hoods are preferred for sun protection. Insulated mountaineering boots with completely rigid soles are needed to climb Mt. Rainier. While both leather and plastic boots will work well, each has strengths and weaknesses. Plastic boots (or double boots - a boot with a removable insulated liner) will work all season. Appropriate leather boots (stiff-soled, insulated and designed to hold a crampon) are suitable only for warm weather climbs. The freezing level forecasted for the time of your climb will be the best guideline for which boot to wear. 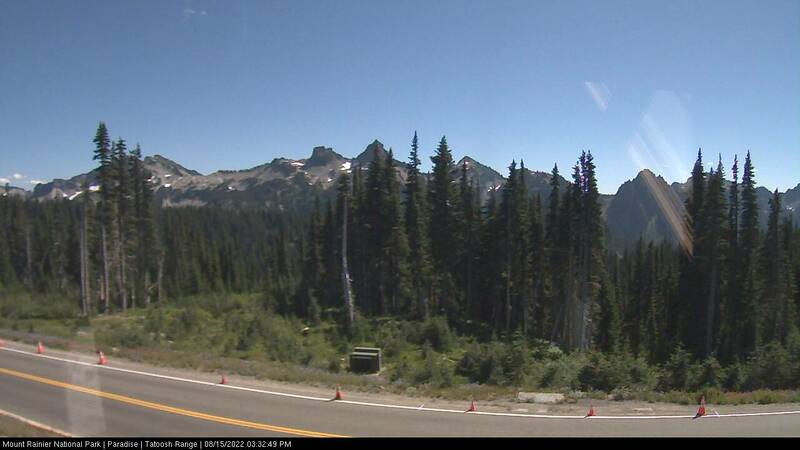 A freezing level below 10,000' will dictate the use of plastic or double boots. A freezing level above 10,000' will provide the option for either plastic boots, double boots or single leather boots. 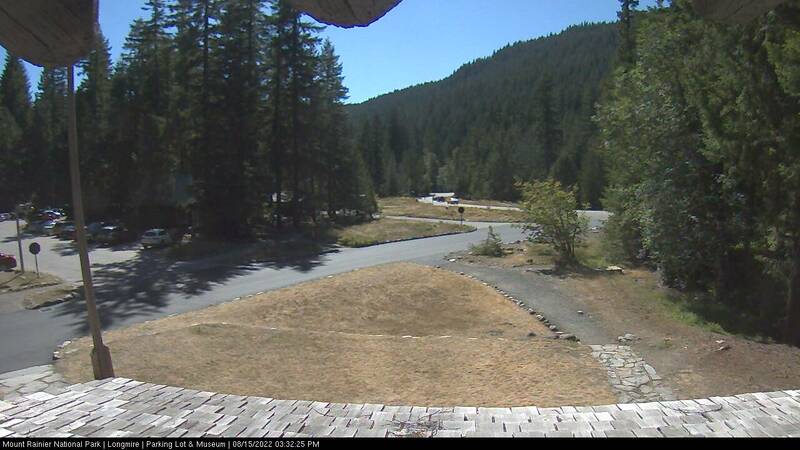 Freezing levels above 10,000' are only seen on a consistent basis between July 1 and August 15 on Mt. Rainier. We strongly recommend plastic or double boots outside of this time frame. Whether leather or plastic, mountaineering boots are designed to remain stiff for kicking steps and working with crampons. To ensure that your feet do well, mountaineering boots must be comfortable right from the start. If renting boots, consider bringing personal orthotics or foot beds. A pair of light running or hiking shoes for one or two hours of use on the lower approach trails (optional before mid-July), and for use as a camp shoe. RMI provides the following equipment for your program: tents, group cooking gear, shovels, climbing ropes, and blue bags (for solid waste disposal). On the Expedition Skills Seminar – Paradise you will need 5 mountain lunches, 4 dinners, and 4 breakfasts while on the mountain. What is the Climber-to-Guide Ratio on this program? Our climber-to-guide ratio is 3:1 on the Disappointment Cleaver and Ingraham Glacier routes. The maximum group size of any program anywhere on Mt. Rainier is 12 individuals, including guides.